Located in the heart of Bethesda, Maryland is The Darcy—one of the most visually striking and modernistic high-rise condominiums that you’re likely to find anyway. Designed by the SK&I Architectural Group for developers PN Hoffman and StonebridgeCarras, this nine-story tower presents an array of concave sections piled on top of one another other. In a word, it’s stunning. With 64 luxury residences, The Darcy can be found at 7171 Woodmont Avenue at the corner of Woodmont and Bethesda Avenue. These upscale condos for sale were delivered in 2015, becoming an instant hit in one of the nation’s most livable cities. 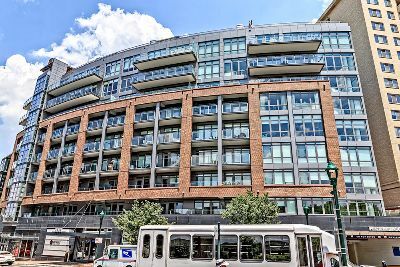 Downtown Bethesda has become synonymous with high-end dining, shopping, entertainment and living in recent years and is one of Washington DC Metro’s most in-demand places. Other new upscale condominium developments in Betheda include 930 Rose, Cheval Bethesda and Hampden Row. Step inside these luxurious urban residences and you’ll be treated to spacious open floorplans created by interior designer Forrest Perkins. Wide-plank hardwood flooring, floor-to-ceiling windows, generous private outdoor spaces and luxury finishes add to the ambiance. And then there’s the open kitchen layouts with Bosch or Thermador appliances set tastefully into a single wall, along with workspace islands with inset sinks. The overall vibe is extremely clean and spare, yet highly functional and attractive. Select units have gas fireplaces and elongated outdoor terraces—excellent places for entertaining or simply sitting with morning coffee while surfing your smartphone. Also noteworthy are the lovely baths with large frameless showers, deep soaking tubs, natural stone floors and integrated stone benches. 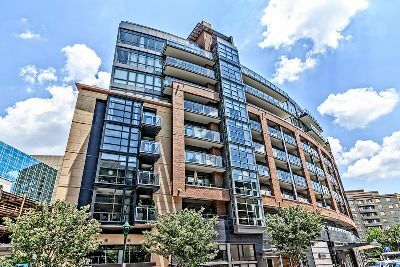 Condos for sale at The Darcy range from one-bedroom models that begin around 835 square feet to giant penthouse city homes with three bedrooms, topping out at nearly 3,000 square feet. List prices have typically started around $650,000, climbing to over $3 million. The number of amenities at this pet-friendly condominium is crazy. You’ll enjoy secure parking, car detailing, a fitness center, business center, residents’ lounge with espresso maker and catering kitchen, clubroom with media, two hospitality suites available for residents’ guests, and access to the rooftop of The Flats—the adjacent luxury apartment rental component from the same developers. Also, the front desk concierge offers a host of a la carte services, such as grocery shopping, housekeeping, prescription pickup, flower delivery and plant care. They’ll even walk your pooch for you! Add to all of this, ground level restaurant and retail components like Silver, Paul Bakery, Chop’t, Pottery Barn and Passion Fish. Plus, stroll to Jaleo, American Tap Room, Tandoori Nights, the Bethesda Blues & Jazz Supper Club, the Bethesda Row movie theater and so much more. Washington, DC itself is right next-door and the Bethesda Metro Station is easy walking distance.